Eddie and Tala are getting the hell out of Baltimore, but Baltimore isn’t through with them yet! Can our heroes survive a breakneck car chase through the city, pursued by fascist inter-dimensional warlocks, gun-toting maniac mobsters, and a trio of mystical bounty hunters? 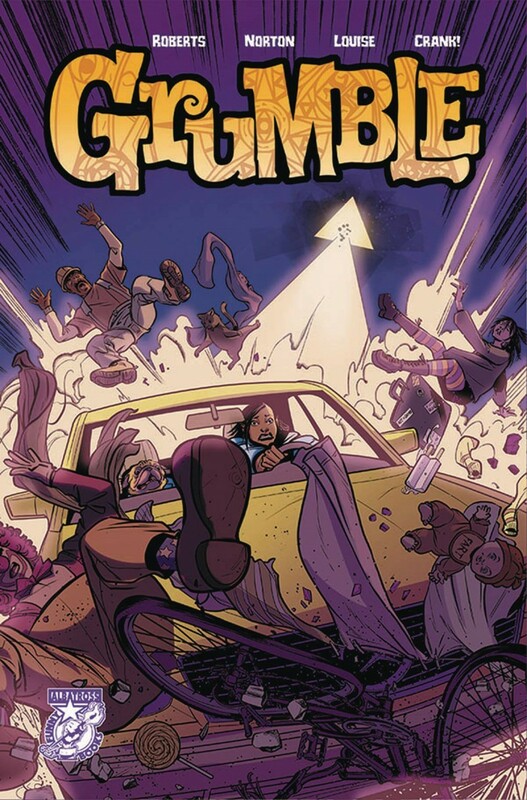 Buckle up, Grumble fans, and get ready for the most magically destructive ride of your life!